In Georgia, one Sheriff is warning visitors that they have Traditional American Values. WIS-TV is reporting the Sheriff received many positive responses for the sign. 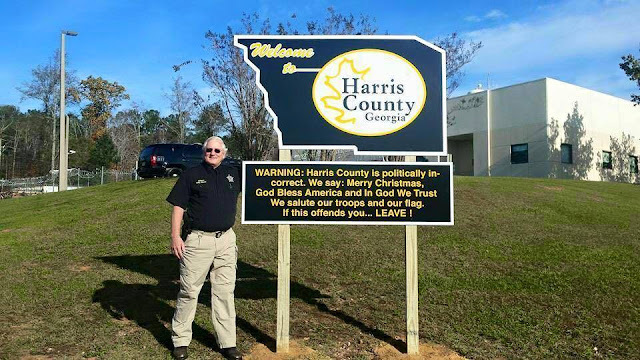 Sheriff Jolley said he paid for the sign himself, and says he plans to post more of these signs around the county, as others have offered to pay some more. 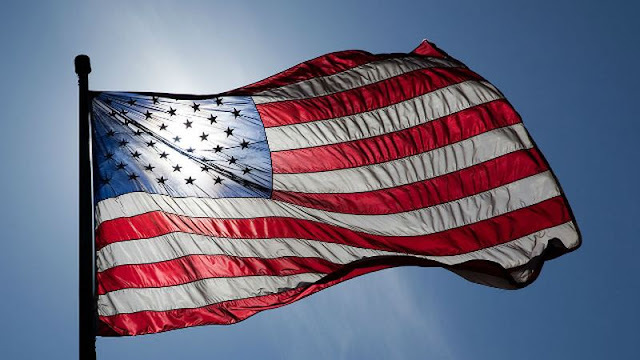 Jolley tells the Ledger-Enquirer he was tired of the silent majority remaining silent. 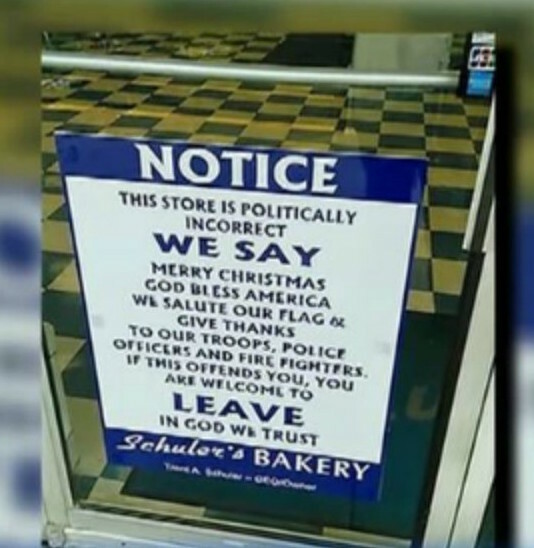 A similar sign was erected recently outside Schuler’s Bakery in Springfield, Ohio.